Melting butter and maple syrup crackled with cinnamon as I stirred apples into a frying pan. The warm, spiced scent of autumn filled my kitchen the moment I started making Apple Blossom Inn’s signature recipe: Apple Blossom Pancakes. After visiting the inn late last January, I had long wanted to try making the pancakes, and figured the start of fall—with crisp apples in season—was the perfect time. 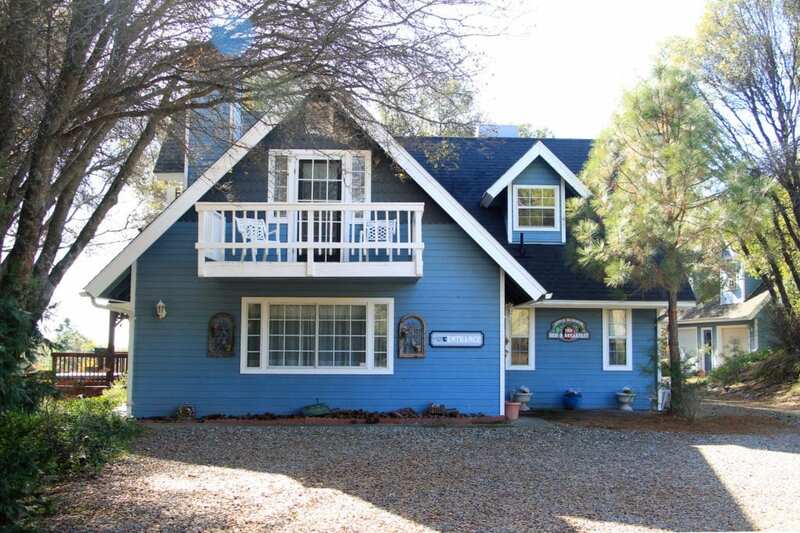 Apple Blossom Inn is a quaint, country bed and breakfast inn nestled amid an organic apple orchard on five and a half acres near the southern entrance to Yosemite National Park. The owner and innkeeper, Candy Arthur, cans 120-150 quarts of apples from her orchard each fall. 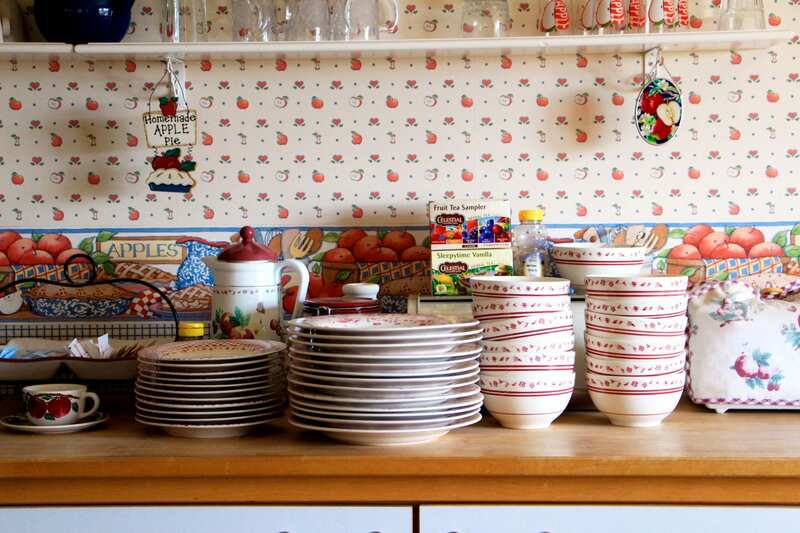 The orchard also includes plums, peaches, pears and a fig tree, but apples are the star attraction of Candy’s breakfast dishes, including Candy Apple French Toast and Cheesy Apple Blossom Quiche. In addition to the hot entrees, breakfast at the inn features fresh fruits, yogurt, granola, cereals, breads, milk, coffee, tea, juice, and honey made from bees in the orchard. Breakfast is served on an impressive collection of Platzgraff dinnerware and drinkware, all with apple motifs. Apples also figure prominently in the inn’s décor and the names of each of the four guest rooms. 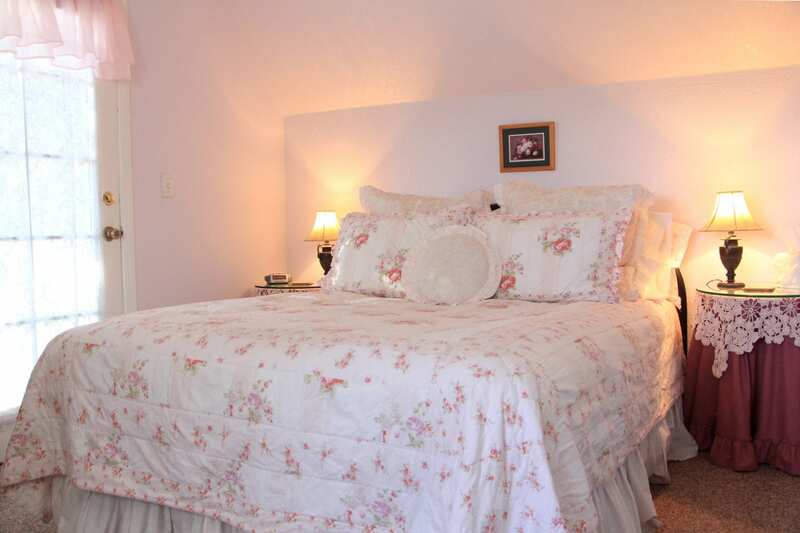 Upstairs in the main house, the Blossom Room and Granny Smith Room offer private second-floor balconies with lovely views, private baths, and queen-size beds with elegant country décor in pale pinks, lavenders, and sage green. 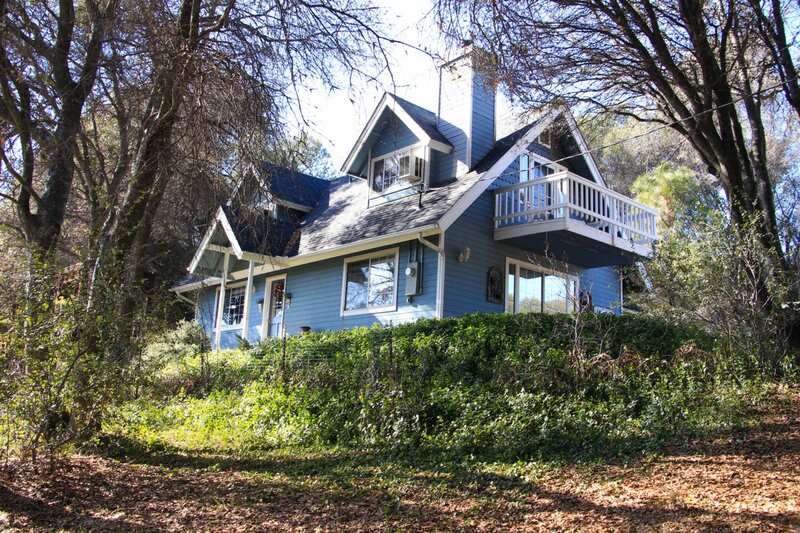 On the ground floor of the main house, the Red Delicious Room features a private entrance, private bath, California king-size bed, and an electric fireplace. 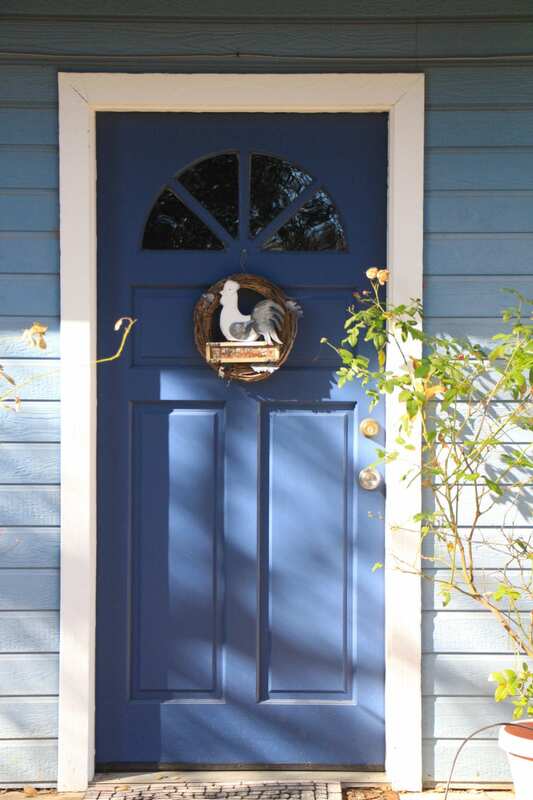 In the carriage house, the Golden Delicious Suite is ideal for families or couples traveling together. 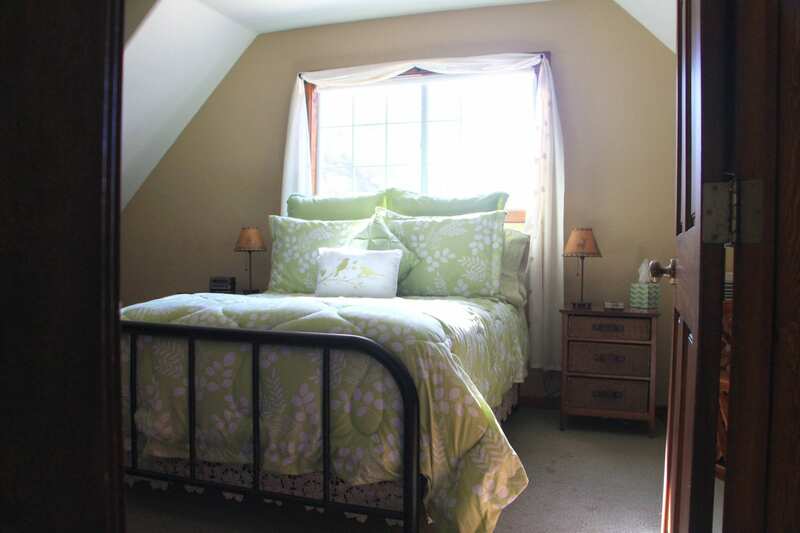 The two-bedroom suite features a full-size bed in each room with a shared bath and tasteful, rustic décor. All of rooms feature TVs with DVD players, down bedding, and cozy robes. 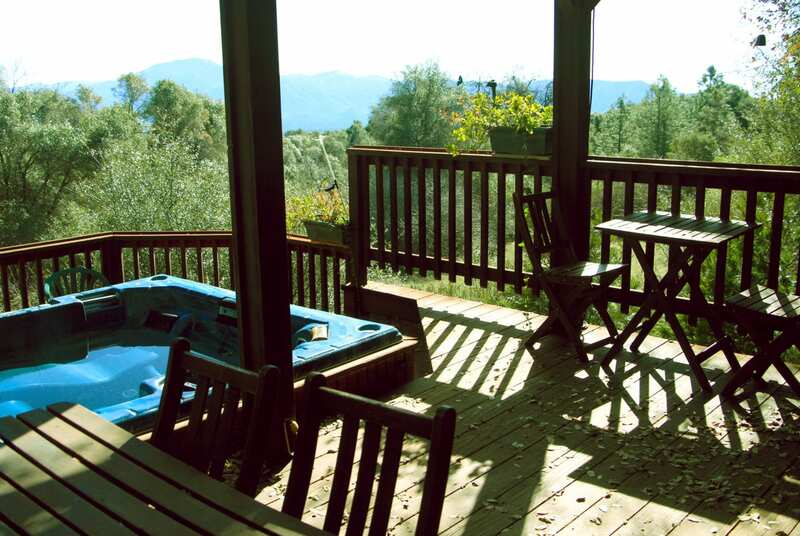 An inviting sundeck with a hot tub overlooks the Oakhurst Valley and the Sierras. The view was obscured this summer while portions of Yosemite National Park were closed by the Ferguson fire. But the park re-opened late last month, as did Wawona Road (Highway 41), which is the most direct route from the inn to Yosemite Valley, the newly-restored Mariposa Grove, and other popular Yosemite attractions. The smoke has cleared and the view from the inn has been restored. With crisp blue skies, changing leaves, and far fewer crowds, fall is a beautiful time to visit. 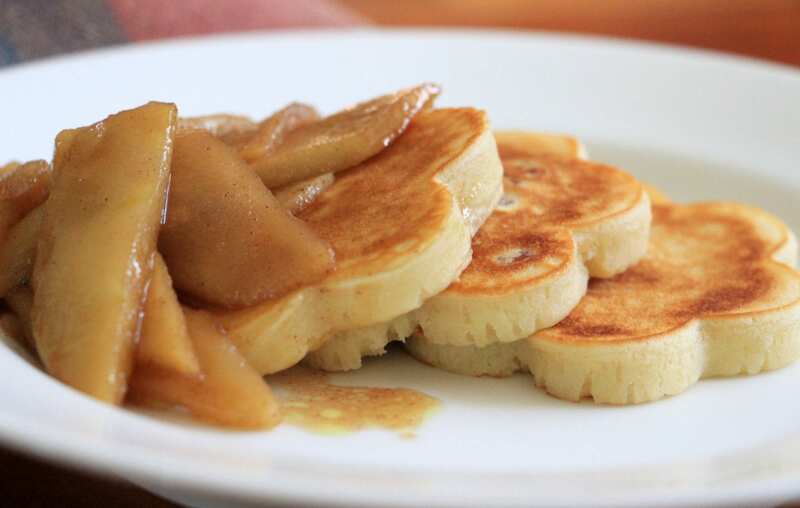 It’s also a great time to make the inn’s Apple Blossom Pancakes. The recipe calls for a flower-shaped pancake griddle, which I didn’t have. I improvised with flower-shaped silicone pancake molds. 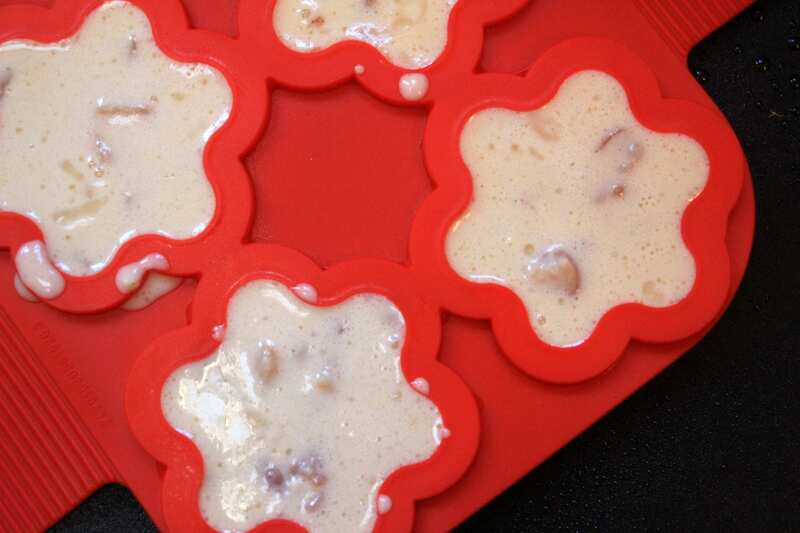 I found I needed to pour a tablespoon less batter into each mold and increase the cooking time on each side. The result was delicious. 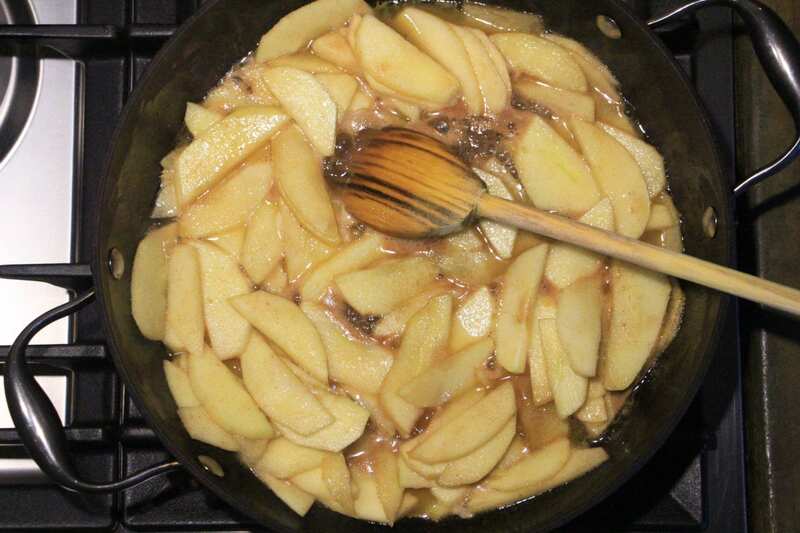 In a medium sized pan, combine applesauce ingredients over medium-high heat. 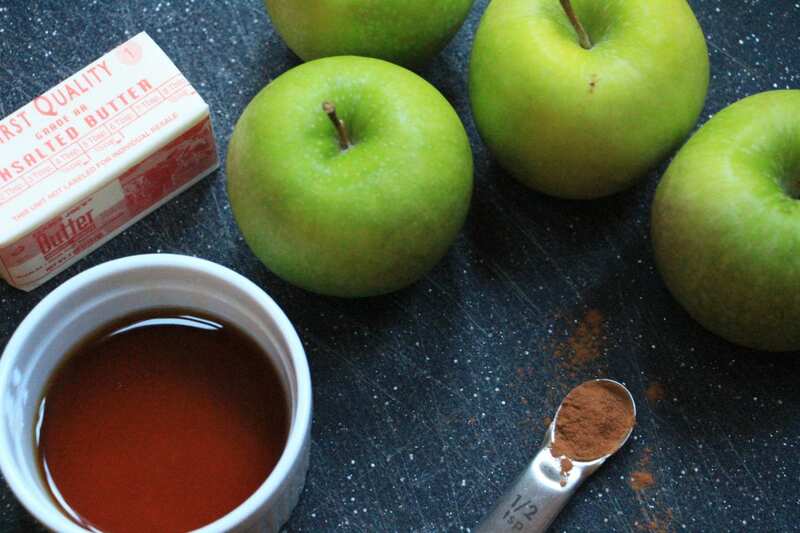 Bring applesauce ingredients to a boil and reduce heat to medium low. Cook 30 minutes, stirring frequently. If applesauce begins to brown on the bottom of the pan before the pancakes are done, add some additional water. In a small frying pan, sauté diced bacon over medium heat till barely crisp, approximately 10 minutes. Let cool slightly. 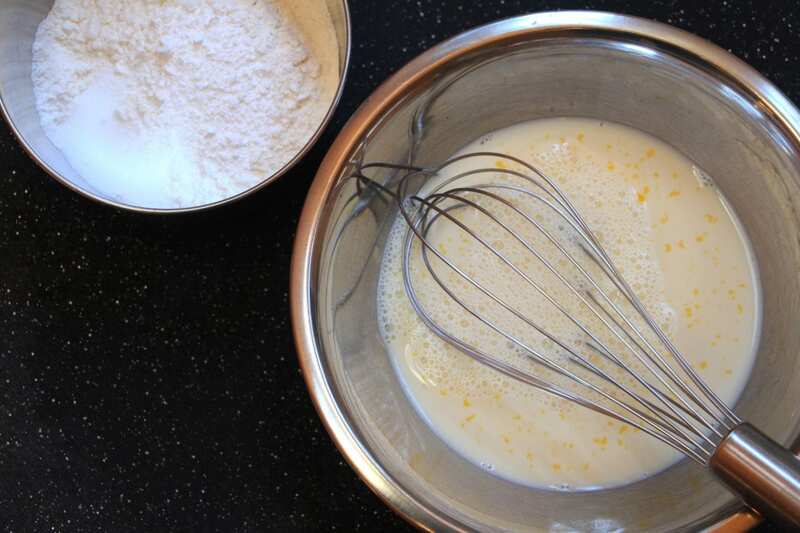 In a medium bowl, to milk mixture; whisk until just moistened. Fold cooled bacon and drippings into pancake mixture. Heat a flower-shaped pancake griddle over medium heat. Lightly spray cooking oil onto griddle. For each pancake, quickly pour two to three tablespoons of batter into flower molds in skillet. Cook until surface of pancakes form some bubbles and a few have burst, two to three minutes. Using a small knife, lift edge of flower and flip carefully back into flower mold of skillet, and cook until browned on the underside, one to two minutes more. Continue making additional batches of pancakes by spraying with cooking spray and filling with remaining batter till the batter is gone. (You’ll have approximately 21 flower pancakes.) Drizzle melted butter over stack of pancakes and serve warm, with applesauce on top.